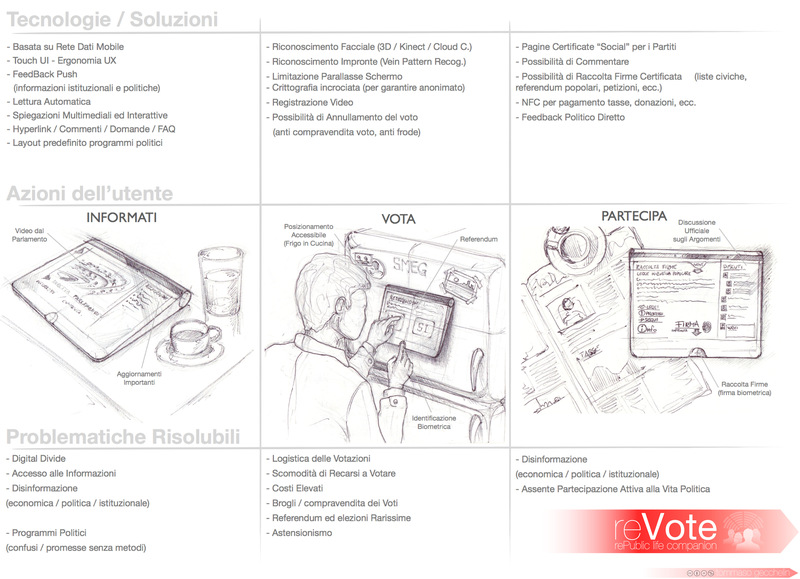 Service / App / Device concept design to push forward to 2.0 public-civic-bureaucratic-political life routine. 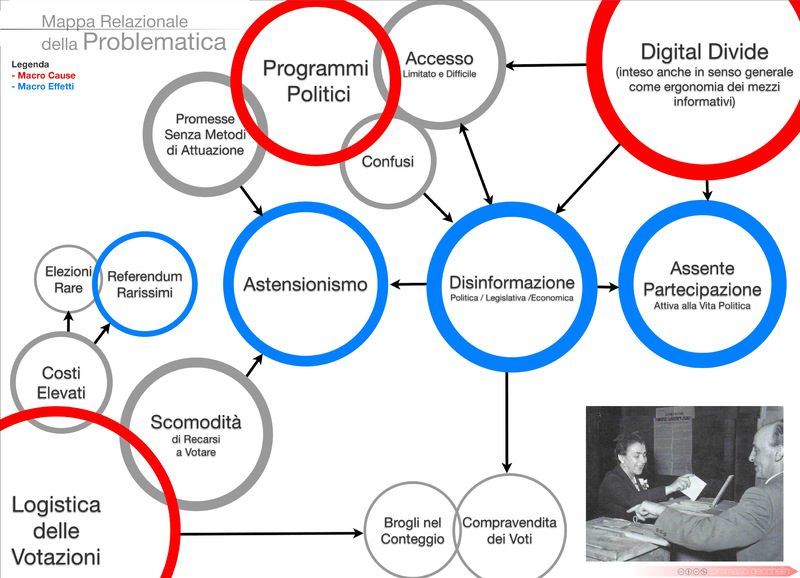 Specifically designed for Italian current situation, it wants to address several issues. – Improve Accessibility to legal-politics-economics News. 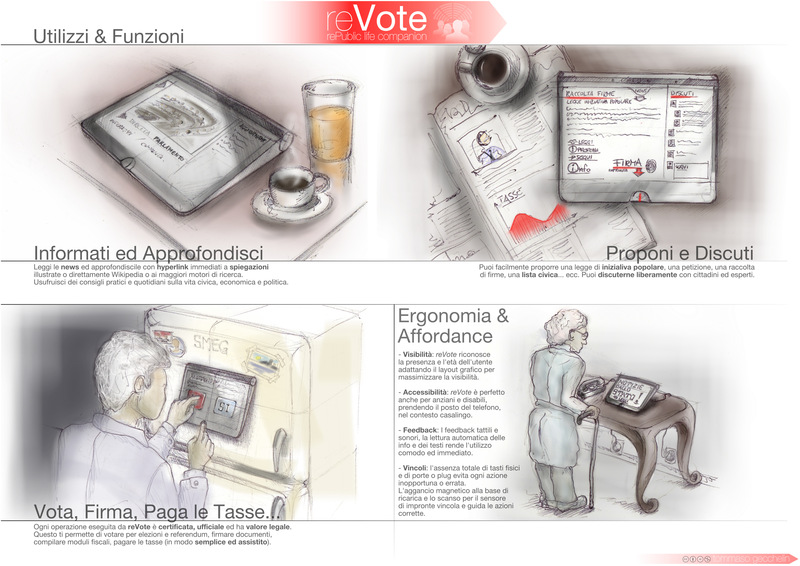 – Tax, Bureaucratic, Voting, Certification digitalized and on the go. 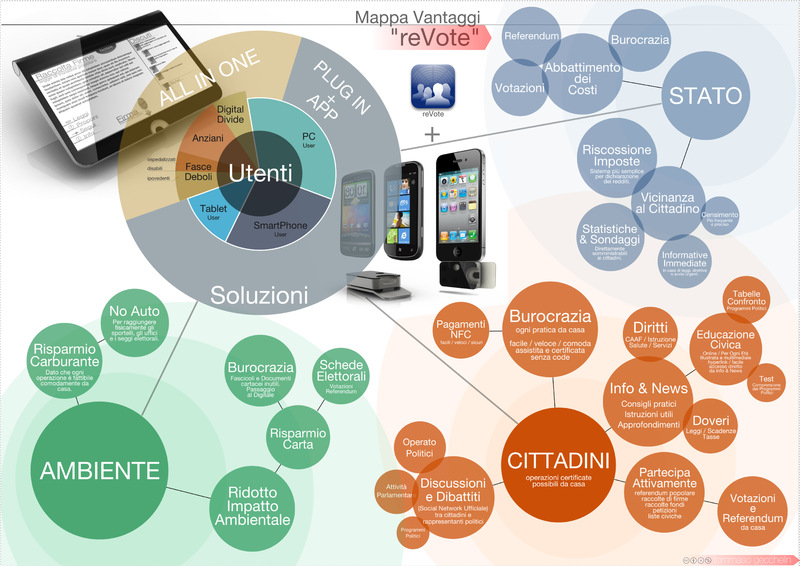 – Civics, political active participation. 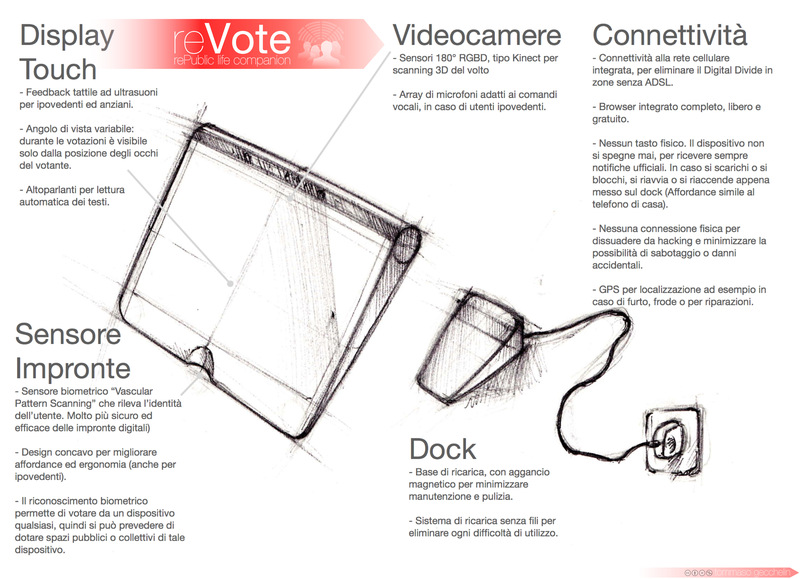 – Dramatically Reduce Public, Taxes, Bureaucratic and Voting infrastructure Costs. 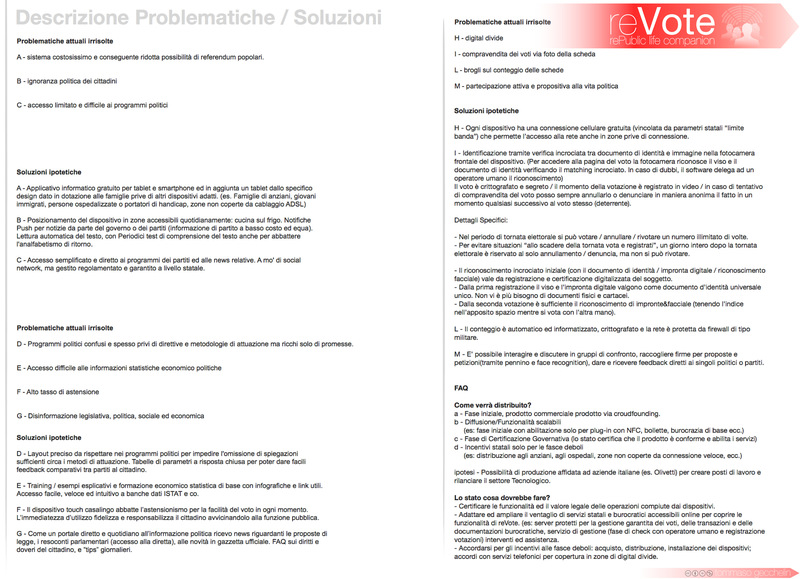 – Increase overall political knowledge and defeat ignorance, through the “reVote-test”. B- You can accept it or just repeat the test. C- Of course you can just tap on the question to get to the source to fullfil your knowledge on the topic, and finally give the right answer. D- When you are satisfied with the percentage value of your vote, just accept it and express your vote. E- So, your vote will always be well-informed, or, will count less. 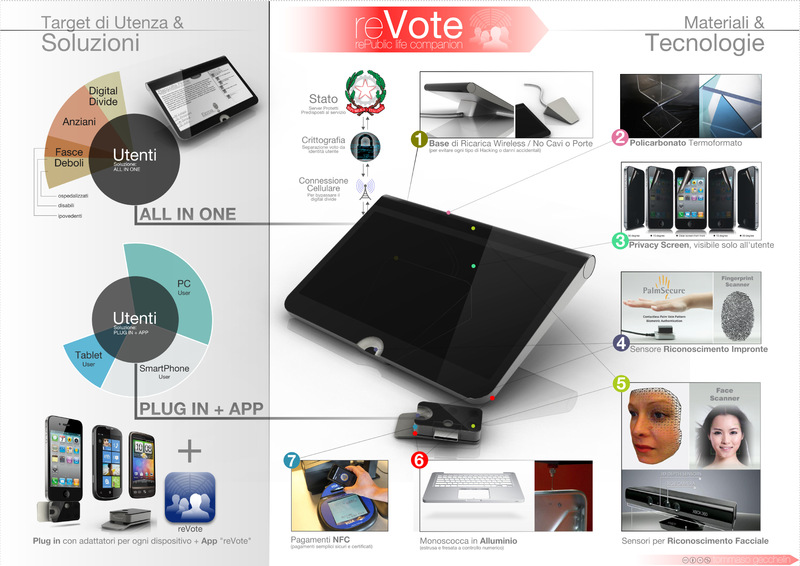 Everything is done with a commercial app+plug-in or an all-in-one device, just externalizing most part of the costs. In fact, people will buy the app&plug-in or device to speed up and simplify bureaucracy, tax, legal, certification etc routine. Government just has to certify the service, maybe hosts central certified servers, and gives few incentives to weaker and elderly. 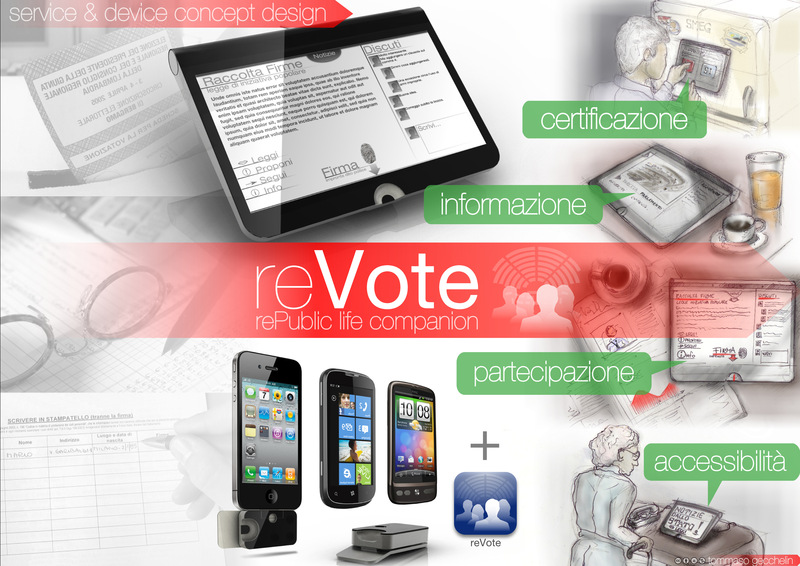 reVote by Tommaso Gecchelin is licensed under a Creative Commons Attribuzione – Non commerciale – Non opere derivate 3.0 Unported License.